Take a magic pill or supplement and watch your pounds melt away — at least that’s the promise that the manufacturers of Magic Herbs make. You always need to use caution when using herbal formulations, however, because natural does not always translate to safe and herbal supplements are not regulated by the U.S. Food and Drug Administration, notes the American Academy of Family Physicians. Such formulations also may contain dangerous impurities, interact with medicines or worsen health conditions. Always consult a doctor before trying a new diet pill. These “magic” diet supplements are purported to stimulate your metabolism via thermogenics, control your insulin levels to reduce body fat, help you gain or retain lean muscle mass while shedding fat, raise your energy level and control your appetite, according to manufacturer information. Magic Herbs contain two key ingredients, which are separated into two different products. The first is chromium picolinate, featured in the company’s “Diet Formula.” The second is chitosan, featured in the “Fat Blocking Formula.” The diet pill also contains a variety of other ingredients such as ma huang, cola nut, guarana, licorice, Siberian ginseng and kelp. The only other ingredient listed on the chitosan formula is vitamin C.
The chitosan in the Magic Herbs fat blocker is a polysaccharide that you’ll find in crustacean exoskeletons. This polysaccharide may be able to absorb six to 10 times its weight in oils as well as fat, says Jamie Fritch of Vanderbilt University. This creates a "grease ball" that your body is unable to absorb. The ball is excreted in your stool. Be aware that chitosan could potentially absorb minerals that your body needs along with the fats and possibly cause a deficiency, according to Fritch. There is no scientific evidence, however, that chitosan can actually absorb fat. Further, anyone with a seafood allergy should not take this supplement. While Magic Herb manufacturers tout chromium as a weight loss aid, the effects of chromium are small compared to consuming a well-balanced diet and exercising, according to University of Maryland Medical Center. It’s a popular supplement because some studies do suggest it can improve muscle mass and reduce body fat, note the experts at UMMC. If you take insulin be careful about also taking chromium -- high doses of chromium can inhibit insulin’s effectiveness. High doses generally may cause flushing, itching or stomach irritation. Reports of liver dysfunction, kidney damage and fast, irregular heart rhythms due to too much chromium have also been reported. It’s especially important to consult a doctor before taking chromium if you are being treated with diabetes medicines or antacids, according to UMMC. Many of the other ingredients in the Magic Herb diet formulation can cause side effects and interact with medicines. Ma huang, for example, contains the alkaloid ephedrine, which was banned in the United States in 2004 due to the potential for serious side effects including seizure, heart attack, stroke and even death, according to “The Essential Herb-Drug-Vitamin Interaction Guide,” by George T. Grossberg and Barry Fox. Other side effects may include nausea, dizziness, anxiety and headaches. It increases your risk for high blood pressure when taken with a host of drugs including diazoxide. Guarana also is a stimulant because of its caffeine content. It can lead to nervousness and gastric irritation and may have diuretic effects. It can worsen anxiety and bleeding disorders, gastroesophageal reflux disease, irritable bowel syndrome and insulin resistance. It also can raise blood pressure and trigger irregular heartbeat. The licorice in this formulation also may elevate blood pressure, lower your blood potassium levels, cause water and sodium retention and lead to lethargy and headaches. Licorice is not safe to use if you have heart, kidney or liver disease, advise Grossberg and Fox. 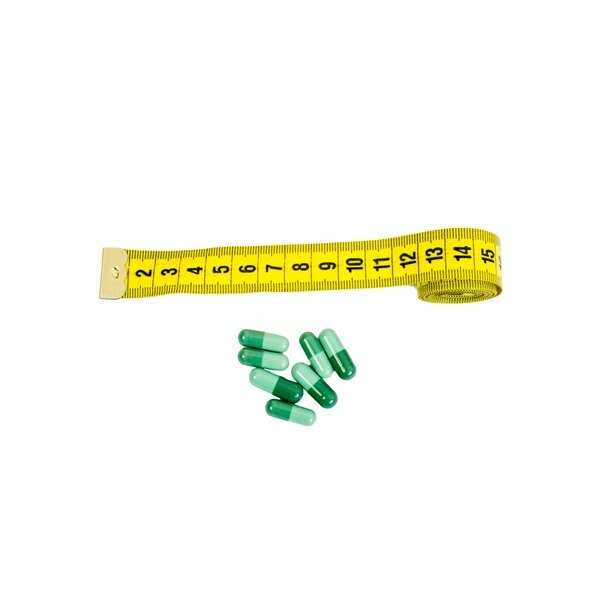 What Are the Dangers of Slim Quick Female Fat Burner?